R Madhavan is quite active on social media. Amidst work commitments, the actor recently shared a post where he expressed his immense happiness. The photo, however, was not of the RHTDM star but it was the actor’s son Vedanth. 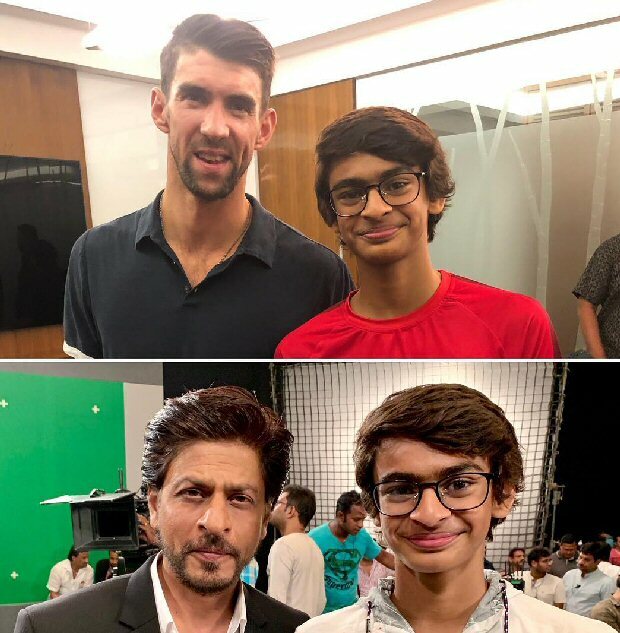 His teenage son recently met two of his idols – Shah Rukh Khan and Michael Phelps and the actor couldn’t stop himself from sharing the same on social media. In a recent Instagram post, R Madhavan shared a collage of his son Vedant posing with Bollywood superstar Shah Rukh Khan and Olympic swimming champion Michael Phelps. The actor also revealed that his son was quite lucky to receive an opportunity to meet two of his idols on the same day. “When your Boy can’t sleep the whole night after meeting both his Idols on the same day… @iamsrk @m_phelps00,” captioned the actor. On the work front, R Madhavan will next be seen in Rocketry – The Nambi Effect where he will play the role of Indian scientist and astronaut Nambi Narayanan. The 3 Idiots actor shared a video and picture of him prepping to get into the character a few days on social media.